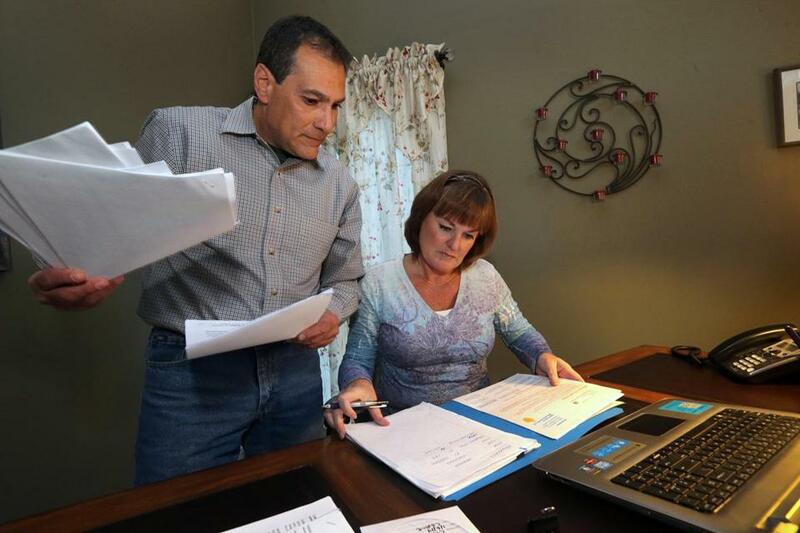 Cherif Kamel and his wife Carol McCorkindale have been affected by problems with the Massachusetts Health Connector. “These people came here to lead and innovate, and instead they’re doing manual workarounds, and they are embarrassed to tell friends and family that they work for the Health Connector,” Yang said at the board meeting. The waiver extends the original March 31 deadline for completing the enrollment process. The state’s health insurance website was working smoothly until October, when it was revamped to comply with the more complicated requirements of the federal health care law. Since then, it has been bedeviled by error messages and is often very sluggish or crashes entirely, officials said. That prompted the state to resort to old-fashioned paper applications, and to put many people in to temporary health plans. But an unknown number of others may be uninsured because of the paperwork backlog. Sarah Iselin, a health insurance executive charged with fixing the state’s broken website, said the first order of business is winnowing that pile of 50,000 applications. She said the state may bring as many as 300 people from an outside company hired by the state. The state is also working on developing a faster data-entry system, though that task alone could take three weeks, she said.